ZM Architecture have taken the lead on behalf of Belhaven to convert the University of Glasgow’s Dalrymple Hall at Belhaven Terrace West from student rental to private residential. 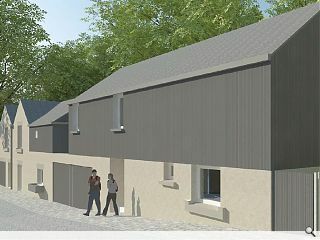 This will see the existing terrace converted together with construction of six mews properties fronting a lane to the rear. 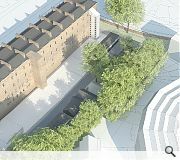 Five flats will be formed within each of the three townhouses together with a further five mews properties forming a linear building line faced in a sandstone coursed rubble wall with areas of charred and oiled larch, render, zinc and slate.